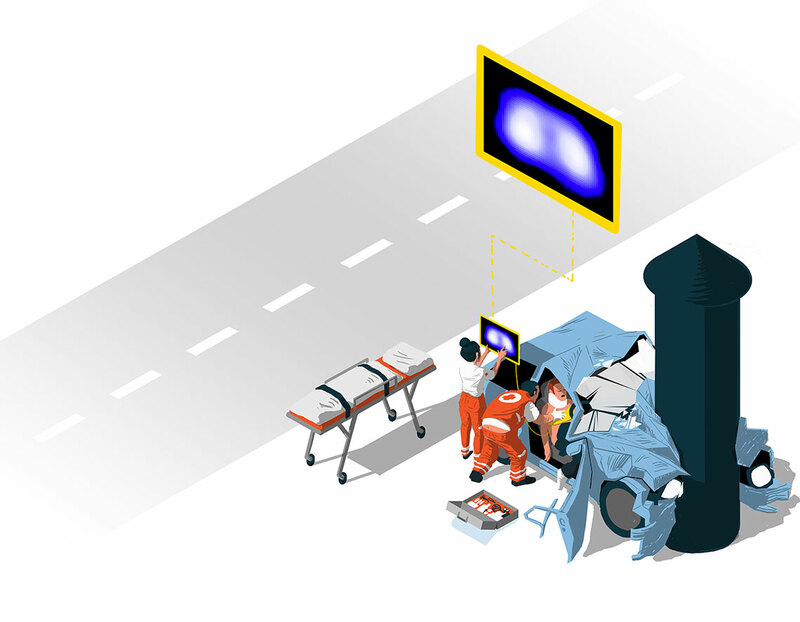 The rapid developments of information- and communication technologies in medical engineering significantly change the requirements on a surgical workplace of today. 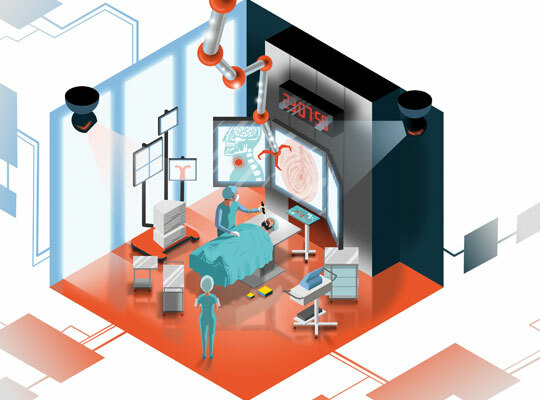 The research area Model-based Automation and Integration comprises the development of an “intelligent” operating room with technique that meets the specific demands of surgeons and can be effectively utilized through compatibility. The goal of this integrated workplace is the qualitative and quantitative improvement of operations by relieving from non-productive activities and by increasing the patient’s safety trough a surgical workflow management. For complex diseases, the increasing number of available examinations and feasible therapies allow for more patient-specific therapy decisions with a higher probability of better outcomes and for therapy processes tailored to the individual patient. However, the large amount of patient data and the multitude of available therapy options can quickly become too extensive to be fully considered in a clinician’s decision making. 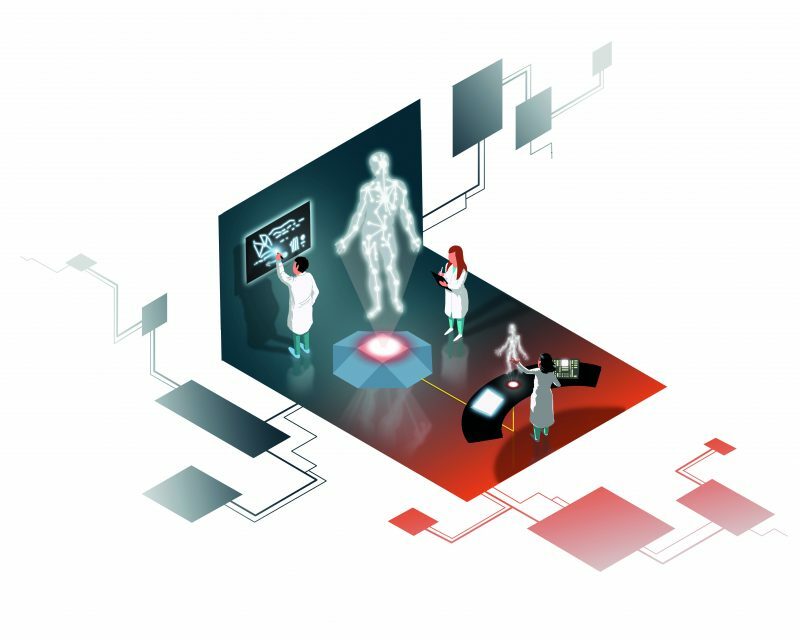 The Digital Patient and Process Modelling Group is addressing this problem by developing therapy decision support systems, patient-specific therapy process models, methods for extracting and structuring patient data, and standardized information models. The research goal is the development of non-invasive imaging-based assistant systems for surgical applications. The focus is on ultrasound imaging to support brain tumor operations, infrared thermography for the planning of skin transplant implantations and hyperspectral imaging for the monitoring of patient’s state and for the identification of anatomical structures in visceral surgery. 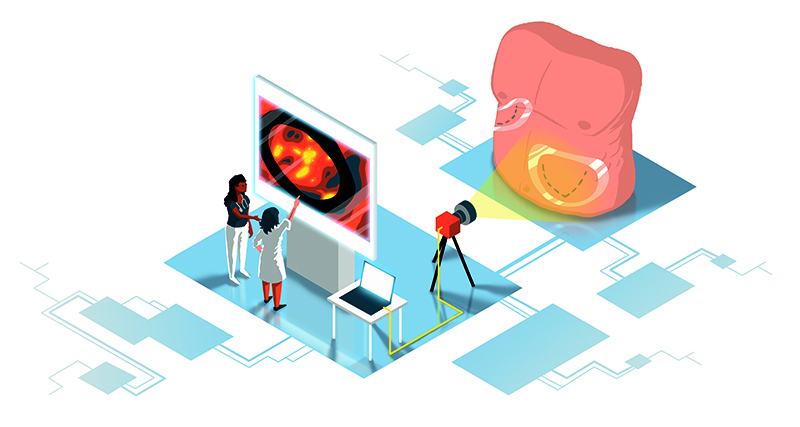 Beside the introduction, clinical evaluation and improvement of the imaging devices for the operating room innovative and specific algorithms are developed to support the analysis of the image data and are evaluated with our clinical partners. The research area Computer Assisted Image Guided Interventions deals with new image-guided procedures and therapeutic assistance systems in the field of non-invasive interventions. It centers on the application of focused ultrasound under the guidance of magnetic resonance therapy (MRgFUS). 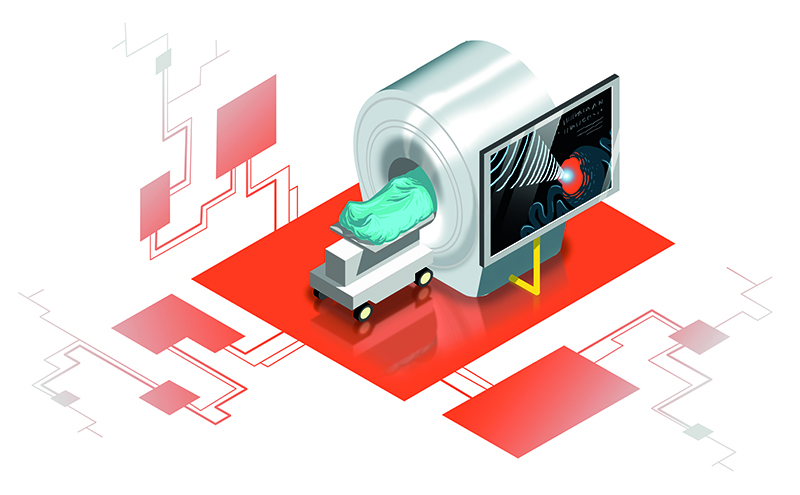 Furthermore, research is carried out on the use of robotic-assisted MRgFUS and on interventional techniques in the PET-MRI. Another scope is targeted drug delivery and radiation therapy via in vitro cell cultures and the examination of a combined radio-FUS-therapy in cancer cells (SonoRay). The research group Life Support Systems (LSS) investigates innovative, non-invasive methods to diagnose and monitor injuries of the lung and in the future other dysfunctional organs. Research is currently focused on the advancement of Electrical Impedance Tomography (EIT) towards a patient-specific visualization of the lung function with attention to feasibility and emergency use cases inside and outside of the clinic. Furthermore, the group addresses the quantitative analysis of CT scans to numerically assess lung ventilation disorders, exceeding the visual assessment of the CT image slices. Through cooperation with medical technology manufacturers, a transfer of research results to clinically available medical devices is ensured.